This one’s for the BIG prize. This one’s for the Governor’s Cup. And, okay, this one’s really mostly for fun. 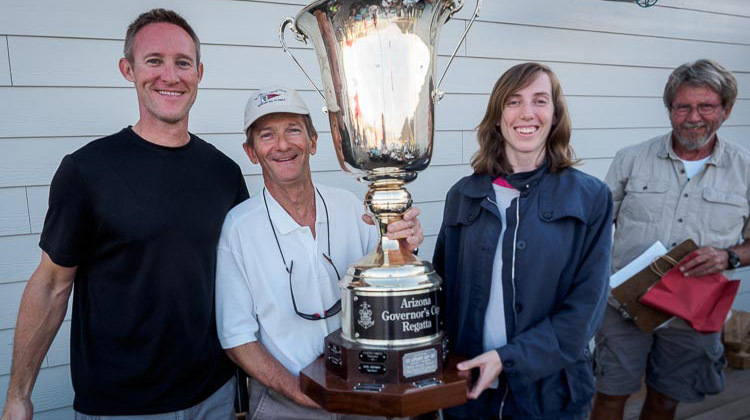 The Governor’s Cup regatta will be Saturday, December 1, with all boats starting at 9:30 am from a start line at the south end of Lake Pleasant. Finishing times will be adjusted for PHRF handicap and the winning skipper will walk off with that big trophy. Entries are now closed. Here’s the list of entries. Here’s the link to the the race documents. After starting in the south of the lake, boats will round drop marks on the north sides of Horse and Balance Rock Islands, then round another drop mark on the south near Bobcat Island (no rounding of the island this time), and finish outside Jackass Cove. A post-race raft-up party will happen in Jackass Cove. Bring fenders. AYC will provide some appetizers. Just to add to the giggles, there’s a handicap adjustment for any boat with a child under 12 onboard, a boat flying an AYC burgee, a boat towing a floaty-something that would hold a person, and a boat with a pet onboard. Just to be clear: The pet must be living. If you have them all, you’ll get a six-second handicap adjustment. There will be multi-hull and monohull fleets. Awards will be given to the top-finishing multi-hull and the top-finishing monohull. 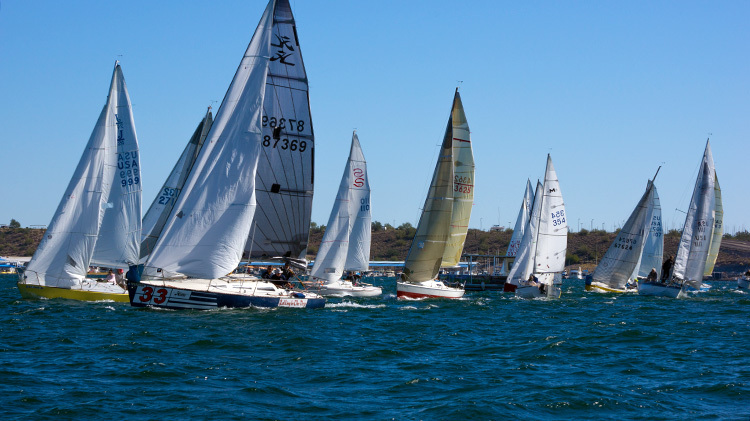 The Governor’s Cup will go to the top-finishing boat in the fleet with the most entrants. Heather McClain is the Race Organizer and Wendy Larsen is the PRO.